Launching your new company intranet is an experience. A well-designed intranet makes great companies even greater, providing a platform for innovation that is simply incomparable. Along with the excitement of an intranet launch, there can also be some anxieties. This is especially true when employees have little to no prior experience with using an intranet to handle daily business processes ... in which case it's essential to provide adequate intranet training. At its very core, intranet software like Communifire, is designed to be as user-friendly as possible. Anyone familiar with the more popular public social networks will feel right at home with the software's user interface, and creating an effective workflow routine takes very little time. Even still, there are many benefits associated with intranet training, regardless of how well-versed in technology your employees might be. Logging into a new intranet for the first time is often overwhelming, as there hundreds of ways to use it. When you take the time to train your staff, you're giving them a path to follow by making your expectations clear from the start. In this way, you won't have to worry about a confused staff ... they'll know their intranet team roles and how to use the platform right away. Companies use social intranets for many reasons, and a major reason is to generate ideas and solutions that can be used to improve products and services. Better ideas and solutions can be expected when you invest in intranet training for your employees, no matter how tech-savvy they may be. You should always encourage collaboration between employees, regardless of your company's industry. Improving collaboration can be tricky, but social intranet software is the best platform available to do it. Even if you have remote employees scattered across the globe, people can easily collaborate with each other, and intranet training will help them understand how to do it. For a lot of "higher-ups", improving employee engagement is a top priority. Engaged employees are fully-involved in their work and make valuable contributions. Disengaged employees often result from confusion and non-communication. Ensure this doesn't happen by providing proper intranet training to employees. Well, there are many routes to take, and some are more suitable to certain scenarios than others. Remaining creative is a big part of the job, but there are a lot of things you can do to ensure you're getting the most out of intranet training. Every intranet needs people on-hand that can manage projects and help staff members stay on track. It should stand to reason that community managers need to be knowledgable on using intranet software, like Communifire, as they'll most likely be teaching others the finer points over time. Train these individuals first. It may take a bit of extra time, but will be time well-spent. Communifire is a powerful tool that can be used to great effect when you use its advanced functions, but it's important to remember that everyone learns best when starting with the basics. Teaching the basics of Communifire to your employees, either by groups or individual training sessions, will ensure that everyone starts with the same base. The online workspaces, or "Spaces", feature in Communifire allows every group or department within your organization to partition themselves from the rest of the community. This prevents confusion associated with information overload. Since each department (marketing, accounting, HR, IT, etc.) will most likely use your intranet in its own distinct way, it's helpful to split intranet training sessions between departments, tailoring them to the specific needs of each group. This can lead to additional training time, but it's necessary if you have many business processes occurring at the same time. Once your employees are off and running, they're bound to have additional questions. From time to time, it can be helpful to hold informal question and answer sessions that allow employees to bring up any concerns they may have. Holding these sessions on a monthly basis is crucial to helping new employees get used to your company intranet. A major benefit of Communifire is that it allows you to upload documentation and create a virtual knowledge base. It's ideal for managing internal documentation and employee guidelines that staff members can reference whenever they have a question. Taking advantage of this has its benefits, including saved time on the part of managerial staff. One of the most effective ways your business can measure progress is to define your intranet objectives from the beginning. When you have something tangible to work towards, it becomes easier to gauge whether or not your employees are on the right track. Defining business objectives is something that should be done both verbally and in written form, and keeping these goals top-of-mind for every employee can push your organization in a forward direction. It can seem easy enough to get current employees up to speed with your intranet, but what about when new hires come into your organization? In this case, it's essential to assign individualized mentors to each new hire that can help them to get a sense of how to incorporate themselves into the intranet. Mentors should be either managerial staff or intranet "power users" who are well-versed in how to navigate Communifire. Communifire allows you to create forums within your social intranet. Intranet discussion forums can be used to create new ideas and solutions, for example, but they can also be used to facilitate support for customers, clients, and employees. Creating an internal "Help" forum within your intranet gives everyone a chance to sound-off on concerns, report their challenges, or ask a question. Best of all, it frees-up time for administrators and managers, as employees can offer advice and solutions to each other. 9. Publish an Intranet "Cheat-sheet"
Sometimes, the best way to ensure that everyone stays on track to give them a "master" document to refer to if they run into problems. 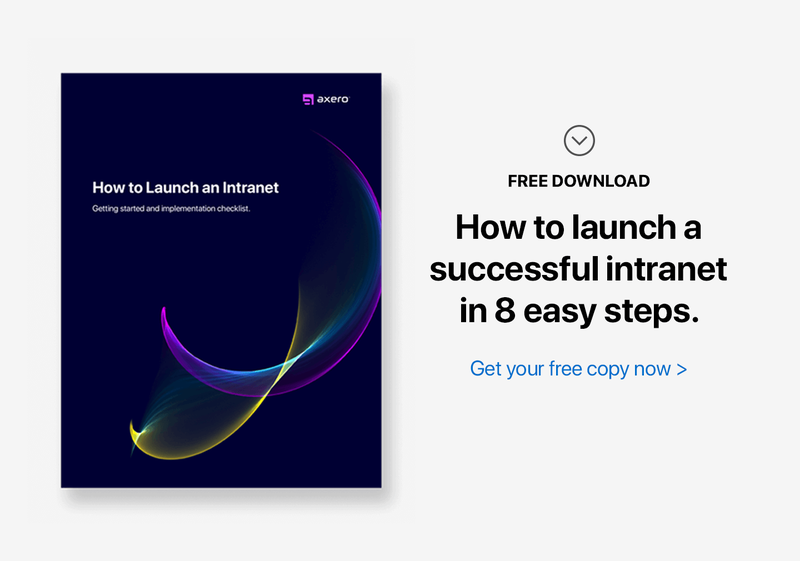 Taking the time to create a "cheat-sheet" that outlines the basics of your social intranet can be extremely beneficial, and keeping it highly visible will keep confusion at bay. Keep in mind that while a cheat-sheet should be extremely informative, it should also be simple to view and understand. Even though your social intranet can be quite powerful when properly embraced, setting the bar too high is never a good idea. If your employees fail to reach a set of unreasonable expectations, they'll most likely experience feelings that lead to disengagement. Keep your expectations reasonable, and you'll experience more positive growth than you would otherwise. Intranet training can take time, but ignoring it won't do anything positive for your organization. Maintain the importance of getting everyone on the same page, and your community will be off to a good start.